Raised in Sarnia, Cathy McRae – Registered Nutrition Practitioner earned a Bachelor of Science from the University of Waterloo. What started as a career path in nuclear physics turned into a career in Information Technology; a field she worked in for more than 20 years. It was when cancer hit her family hard that she decided to make a career change; one that involved natural ways to heal the body. 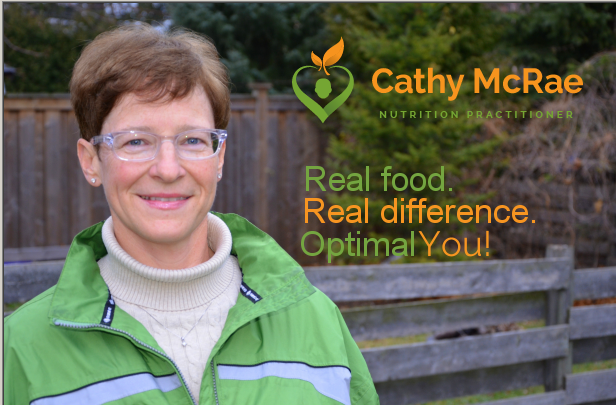 In 2013 Cathy received a diploma in Nutritional Consulting and is a Registered Nutritional Consulting Practitioner. Now back home, she is excited to share her message that real food, makes real difference in creating an Optimal YOU! Seeing her clients achieve success is how Cathy measures her own. To learn more, visit http://www.comingalive.ca/ or stop in at 859 Exmouth Street, above Needham Family Chiropractic.